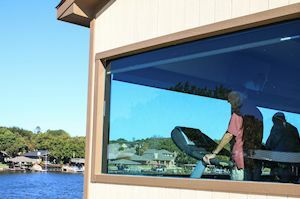 The Fitness Club Center’s state of the art equipment includes exercise bicycles, treadmills, ellipticals and other fitness equipment and overlooks the Marina. The Fitness Center is kept locked at all times. 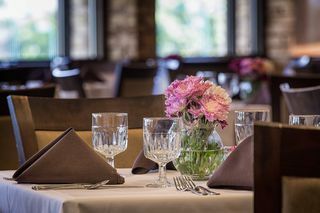 Only members, who have a personal pin number, have access to the Fitness Center, which is open seven days a week from 3:30 a.m. to 10:00 p.m.
DCBE has two post-tensioned concrete tennis courts adjacent to the clubhouse front lawn and enjoys southerly breezes off the lake in the summer. Tennis is played year round on the well maintained beautiful blue and green surfaced courts with updated lighting, windscreens, pole pads and perimeter landscaping. 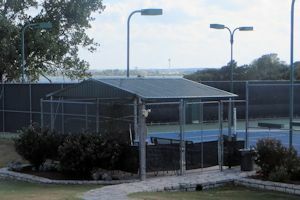 Tennis is a popular sport in this area and Granbury has multiple USTA teams at many levels competing in the Fort Worth area. Courts are available by reservation with a self-serve web site.. A high quality ball machine is available for resident use. The DCBE ladies hold a popular ladies day on Wednesday mornings. Many friends are made on the DCBE tennis courts. Hope you will join us. 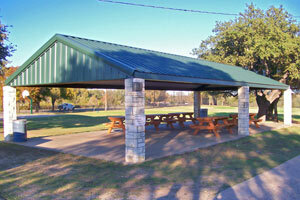 The Granbury Newcomer's Club is another wonderful county wide group. 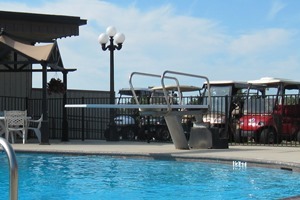 The swimming pool, located at the back of the clubhouse, is open from Memorial Day through Labor Day. Adjacent to the pool is our playground and Family Grill which serves short order items, cold drinks, snow cones and candy. The Aquatic Aerobic Exercise class meets Tuesday through Friday mornings during the summer for an invigorating workout. Evenings from 8-9 pm is reserved for adults only. 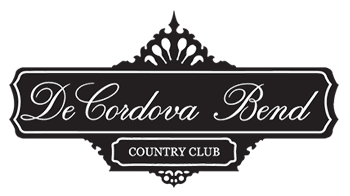 DeCordova is a gated community with access to members, their guests and realtors. 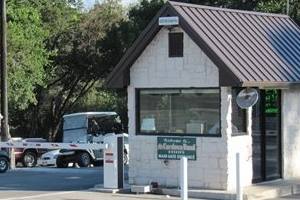 Our security officers control access to our 26 miles of roadway and patrol our 855 acres. 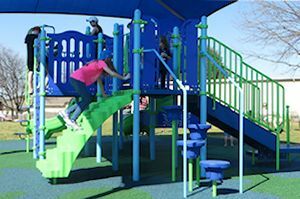 In addition, they perform other functions such as conducting wellbeing checks, assisting members, doing vacation checks and investigating crime, which if criminal is referred to the Hood County Sheriff's Office. If you would like to visit us, click here for Realtors who advertise with us and would be happy to assist you. We hope you plan to join us here.